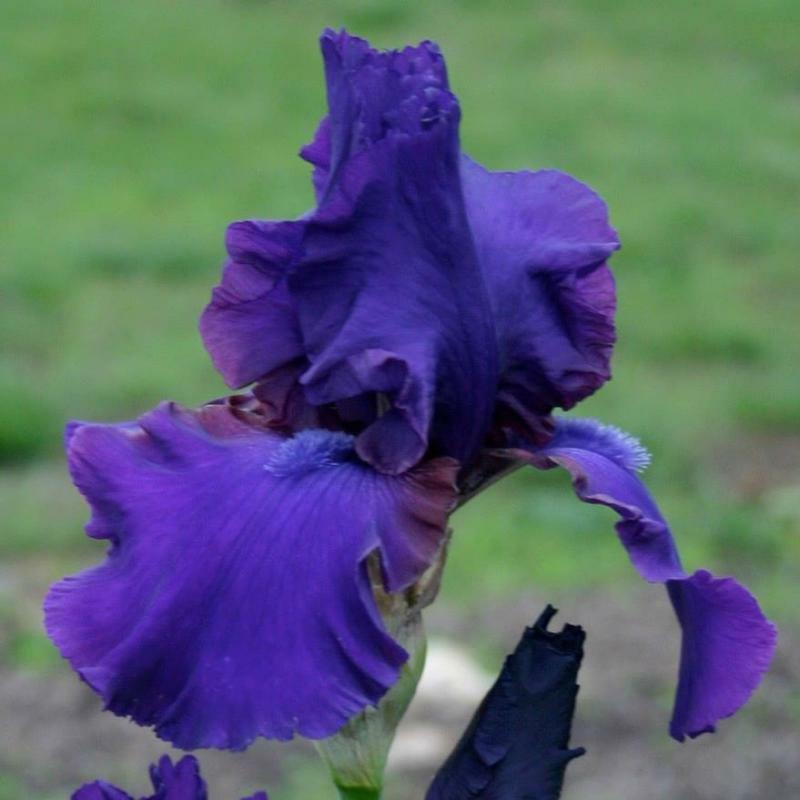 Excitement continues to grow for reblooming irises. 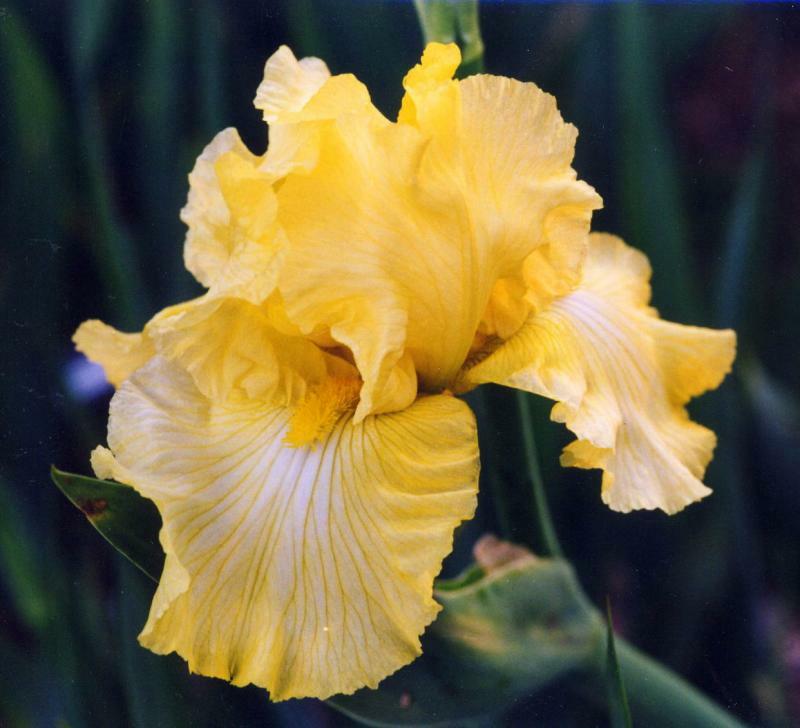 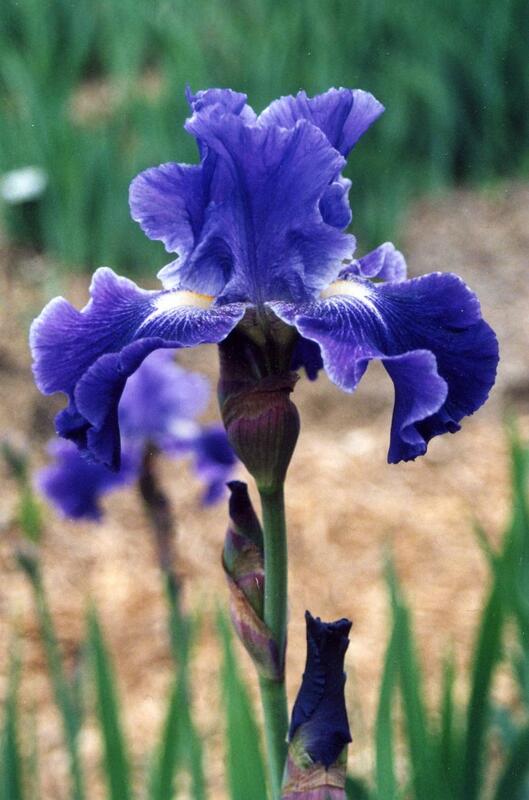 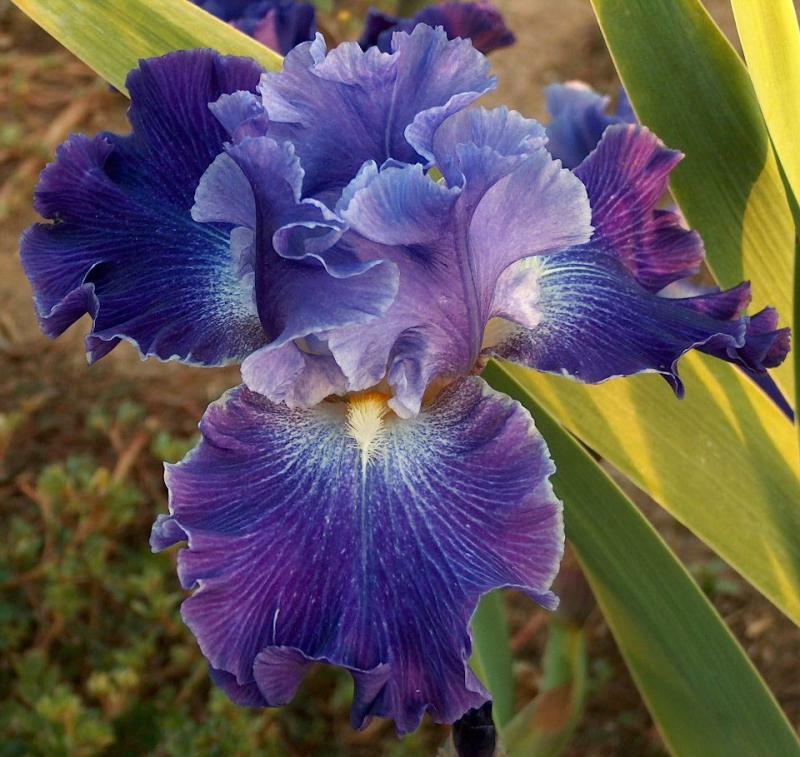 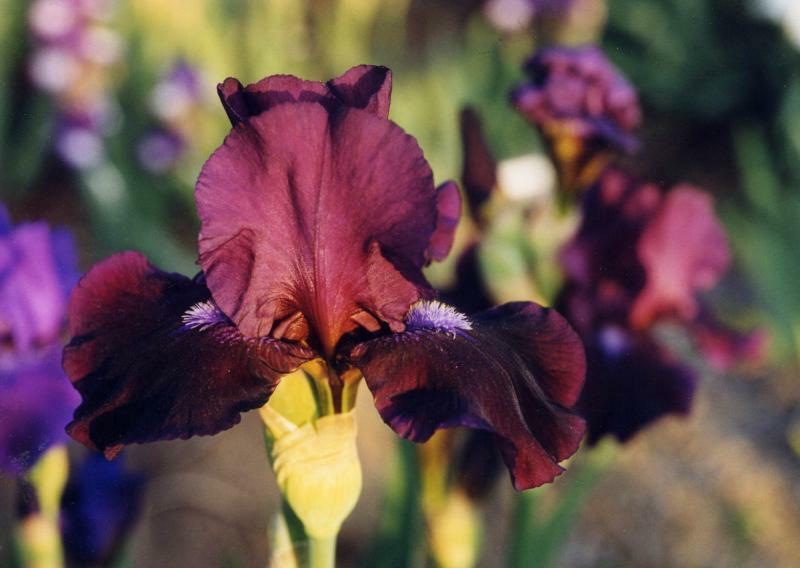 Each year the newly introduced cultivars of reblooming irises improve in form, color, and their ability to rebloom. 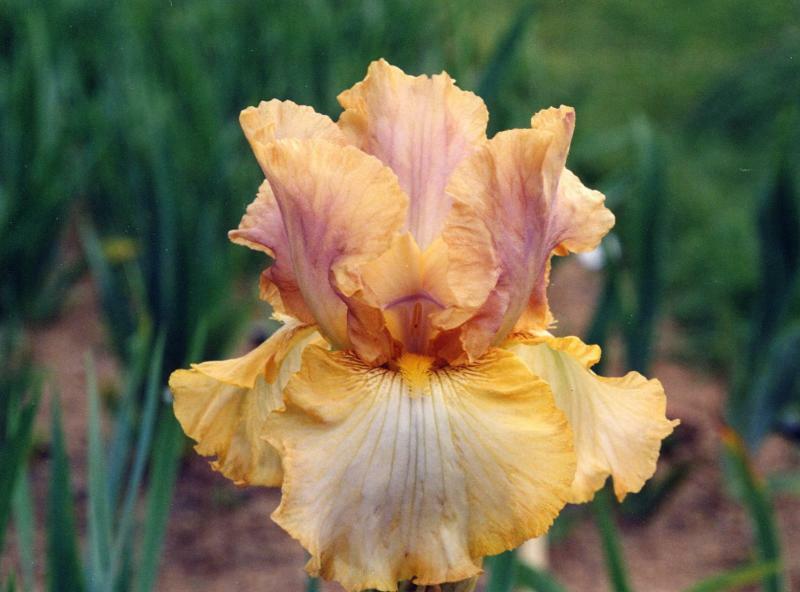 Many rebloomers are as good as the best of the spring only bloomers in modern form. 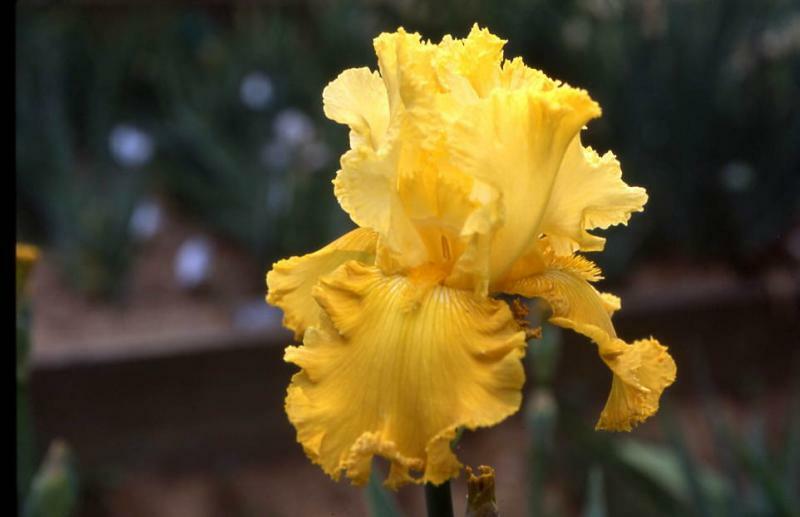 Rebloomers thrive with summer watering and extra applications of fertilizer including nitrogen because they must make new increases before they can rebloom in late summer and fall. 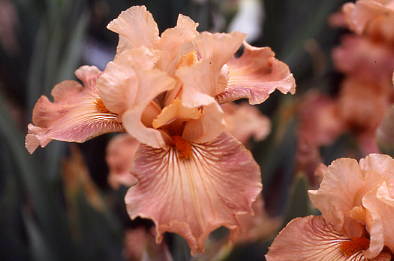 Rebloomers increase fast and vigorously grow roots and foliage. 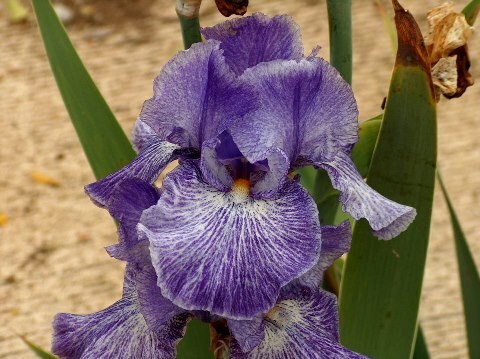 Gardeners appreciate the winter hardiness and disease resistance of rebloomers. 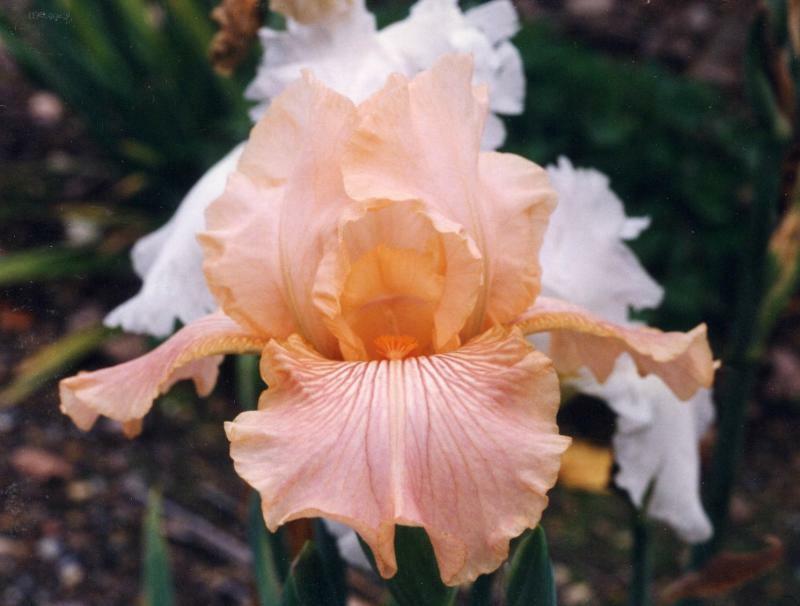 Rebloomers usually bloom earlier in the spring than the spring only bloomers, yet have a comparable two week spring bloom season. 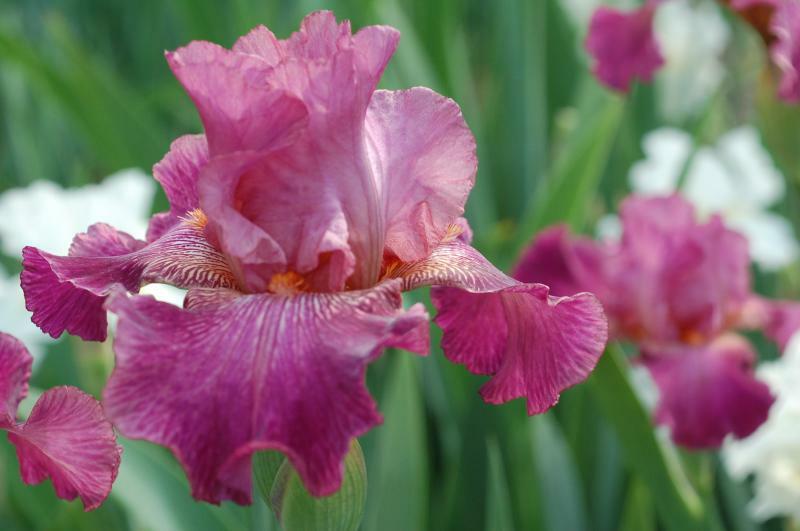 Then, in the late summer and fall, you receive a great bonus when a reblooming cultivar will give you additional bloom for a month or more. 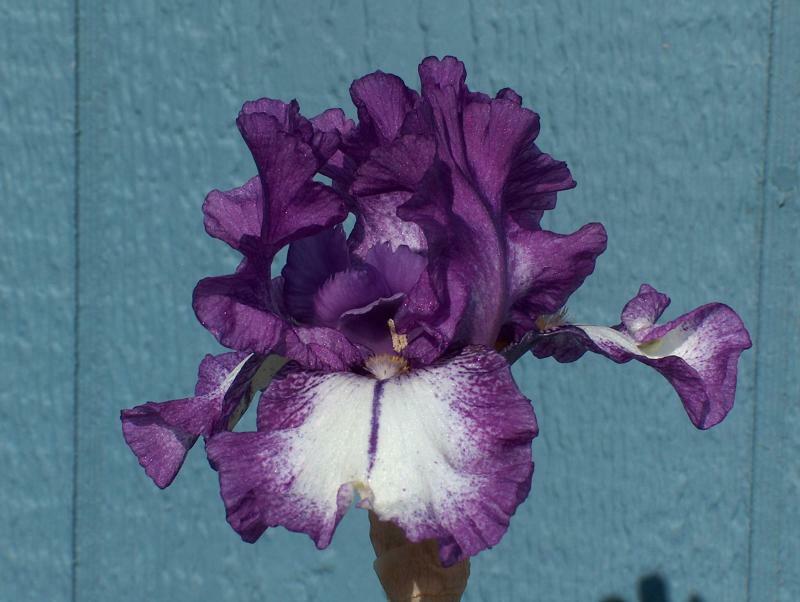 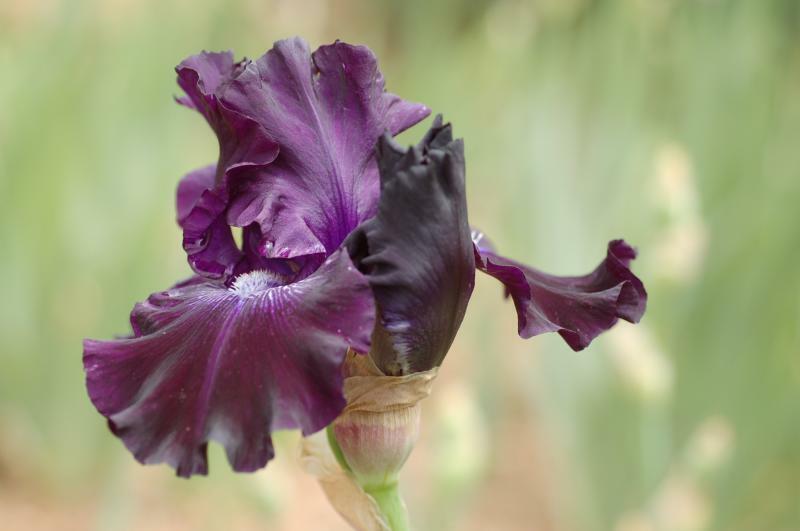 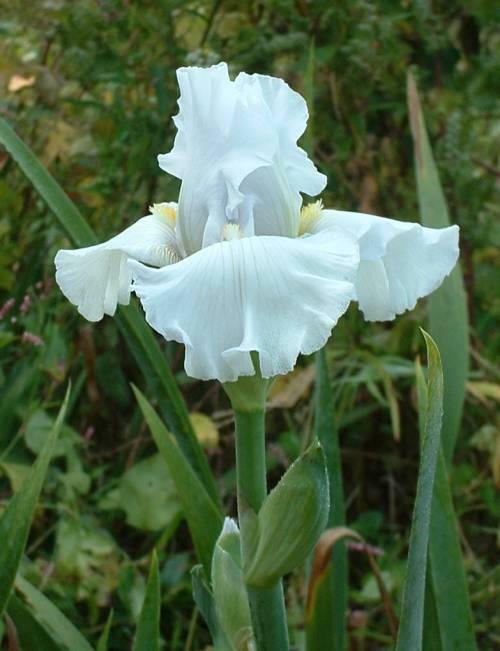 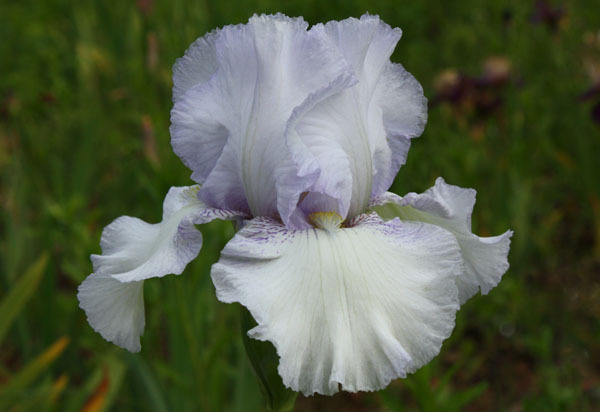 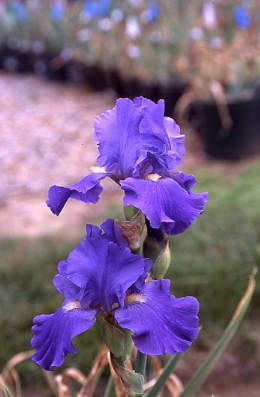 We also have reblooming irises in other classes listed in their own section (standard dwarf bearded, intermediate, etc. 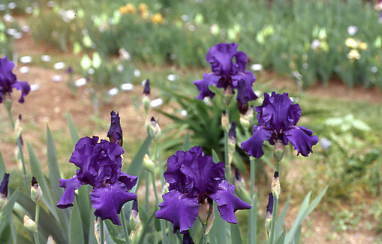 They will be listed in all capital letters. 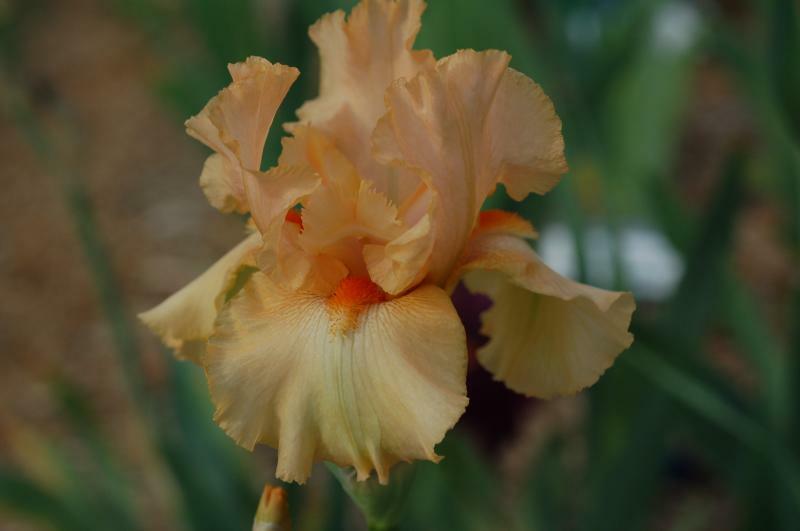 WINTERBERRY GARDENS is located in Northern Virginia on a low mountain ridge at 1,000 feet above sea level in climate zone 6b (coldest winter temperature of –5 degrees F). 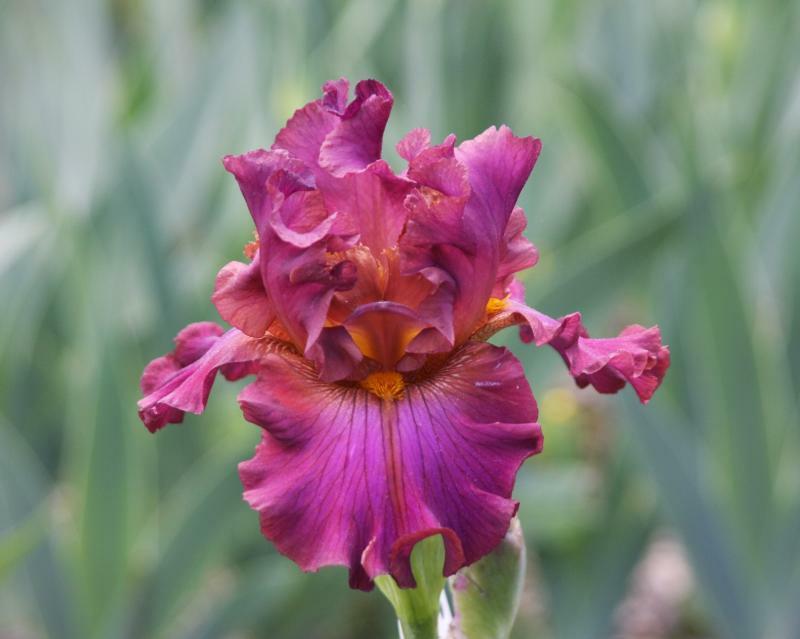 We grow over 1,200 varieties of cultivars that rebloom in some zone, and only about a third of them will rebloom for us in our zone. 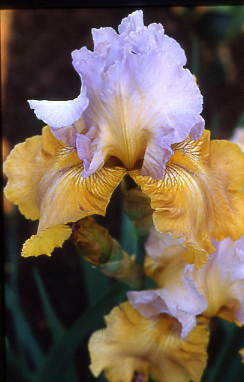 We place an X before the Re in this catalog if the iris has rebloomed in our garden. 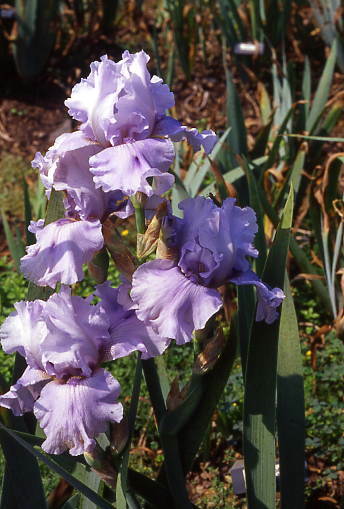 Climate zones are based on the coldest winter temperature, such as zone 4 (-30 F), zone 5 (-20 F), zone 6 (-10 F), zone 7 (0 F), 8 (10F), zone 9 (20 F), and 10 (30 F). 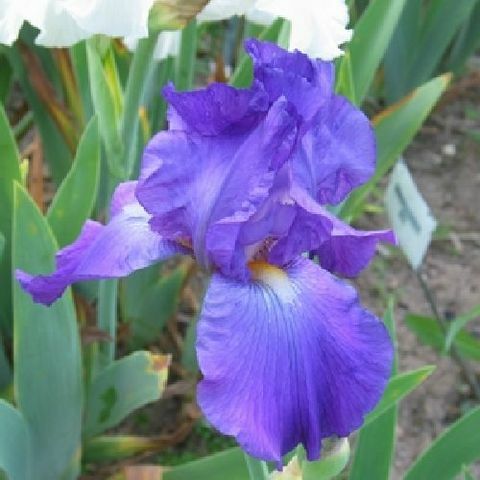 Some of the best reblooming irises will spring bloom and rebloom in zone 10 that has a short winter cooling period. 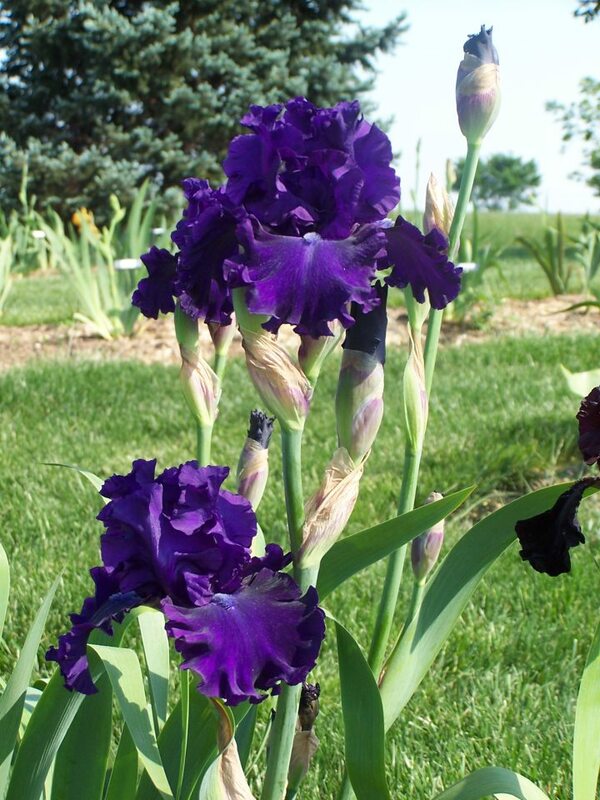 If a cultivar reblooms in zone 4 it will probably rebloom in zones 5 to 9. 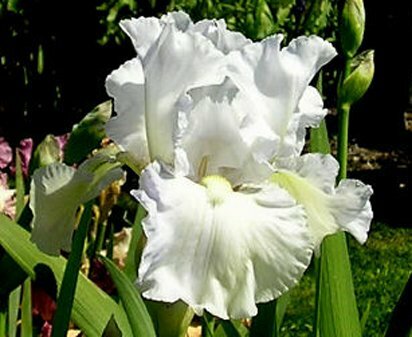 If it reblooms in zone 6 it will probably rebloom in zones 7-9 as well. 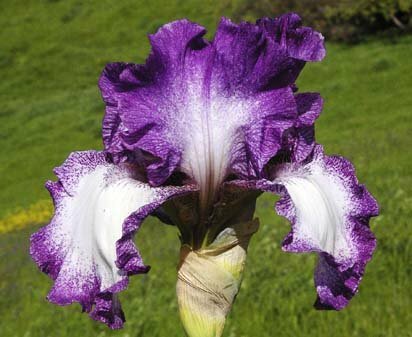 This catalog designates rebloom as RE followed by the coldest zone rebloom has been reported and may be followed by an asterisk (*) that designates the month it reblooms in that zone. 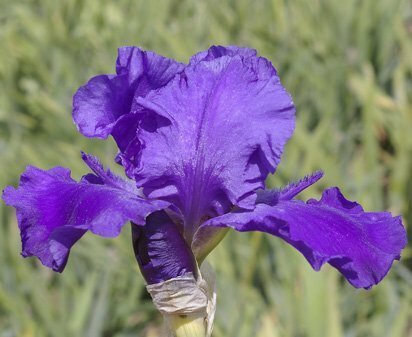 So, a cultivar that reblooms in our garden in October would be written as XRE-z6*10.